Your spouse was the primary breadwinner. You stayed home tor raise the children or worked part-time to supplement your spouse’s higher earnings. But now you are divorced and facing a job hunt. The mere thought is overwhelming, frightening and insurmountable. Most divorces create financial stressors, often requiring finding a job. On the plus side, a job offers financial independence and security; it is also an opportunity for improved social connection and self-worth. This may be the first time you are taking primary financial responsibility. It is important to know what assets you have and whether you are entitled to alimony. Alimony provides a transitional time for the lower-earning or non-earning spouse to create a plan for economic independence. Getting good legal and financial advice is essential if you are confused, lack confidence or need education. What are your areas of interest? How much flexibility do you need? Remember that obtaining a temporary or part-time job will give you some experience and may lead to greater opportunities. It doesn’t have to be your dream job; it’s just somewhere to start. Now is the time to join professional organizations, complete certifications, and stay current in your industry by reading trade magazines and blogs. If you do not have a profession, take classes to learn new skills. Many community colleges offer courses for displaced and unemployed workers. Your state unemployment office may also have valuable resources. Any volunteer experience you have, such as with schools, churches, local social service or political organizations is worth listing on your resume. Leadership positions, even unpaid, show initiative and capability. 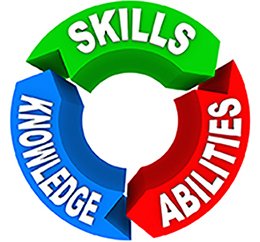 Highlight accomplishments in your personal life that translate to job skills. Put the word out to family, friends, neighbors, and acquaintances that you are actively job searching. Media sites like LinkedIn and Facebook are a great way to market yourself. People often secure jobs by being at the right place at the right time. The further you cast your net, the greater your chances of scoring an interview. Take a deep breath and have faith that there IS a job out there for you. Be persistent in your approach and tireless in your efforts. And maybe watch the movie “Joy” for a little inspiration!